"Protection of professional activity and freedom of speech in Ukraine: combating impunity". 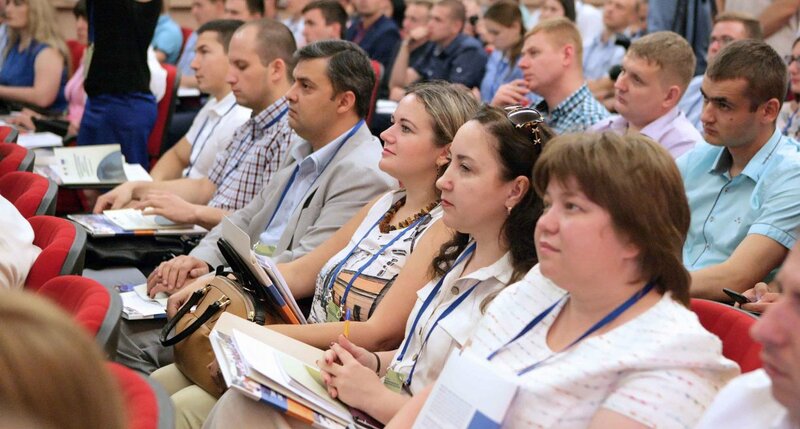 A two-day training seminar under this title was held at the National University "Odessa National Law Academy". This forum is not a declarative nature, but it is called upon to solve quite practical tasks. After all, this training seminar is conducted by the Council of Europe in conjunction with the Administration of the President of Ukraine, the General Prosecutor's Office of Ukraine and the National Police of the country. The participants included law enforcement officers, judges, journalists, representatives of civil society. The following figures show the relevance of this topic. Last year alone, according to the Institute of Mass Information in Ukraine, thirty cases of attacks and beatings of media representatives, 43 cases of threats and intimidation, 108 cases of obstruction of journalists, one murder and one kidnapping were registered. At the same time, law enforcement bodies examined and sent to court only thirty-one indictments against crimes committed against journalists. For us this seminar is very important. After all, the rights of journalists and the entire media sphere, this, like freedom of speech, is the basis of democracy. The safety of journalists should be unshakable. In Europe, there are certain standards in this sense, which we want to share. Therefore, we are holding this seminar together with law enforcement agencies. The fact that the seminar is held within the walls of the Odessa Law Academy is not accidental. Her students are the future of Ukraine, and I am very happy about it. This is our first experience of cooperation, but we have plans for the future. It should be noted that the Council of Europe has developed a project "Strengthening Media Freedom and Creating a Public Broadcasting System in Ukraine", which has been implemented over the past three years as part of the Council of Europe's Action Plan for Ukraine. A journalist should know not only his duties, but also his rights. And the protection of journalistic rights is not only a matter for journalists, but for the authorities and law enforcement agencies. The obstruction of journalistic activity by the authorities, both municipal and state, is nonsense. Journalists should be protected by legislation, the Criminal Code. And I want to emphasize that it is important for journalists not only to have a journalistic education. Therefore, when there is a practice when a journalist also receives knowledge of the main legal disciplines, as in the OUA OU, this is certainly a huge plus. A journalist must be legally competent. - said the journalist Andrei Kulikov. The current seminar on the protection of the professional activities of journalists is the second. The first, a pilot seminar covering this significant problem, was held in April this year in Kiev. And in autumn it will be held for the western regions of the country. - said President of the Odessa Law Academy Sergei Kivalov. Note that this seminar is held in the walls of the Odessa Yurakademii not by chance. Four years ago, the faculty of journalism was opened at the university. During this time the specialty became very popular and popular among many entrants. And already this year a new program for masters has opened - international journalism. Classes for students will be conducted by leading domestic and foreign professionals both in the field of traditional media (television, radio, press) and in the field of new media, as well as experts in the field of diplomacy and international law. Future international journalists will listen to lectures in European languages ? ?- English, German, French. According to the President of the University, possession of several languages ? ?for a journalist of international level, as well as knowledge of the profession, is a self-evident condition. Only in this way graduates can successfully compete with graduates of prestigious European universities. The new master's program - international journalism - was conducted earlier at the Kiev National University, but it was closed. And we have revived. A qualitative international journalist today is simply necessary. And we responded to the challenges of the time. It is in the Law Academy that we will be able to train journalists, giving them the equivalent knowledge of journalism and jurisprudence. Our society needs mass media specialists, who are legally competent, who could cover events that are important for society as a whole. Therefore, dear bachelors, welcome, we are glad to see you. 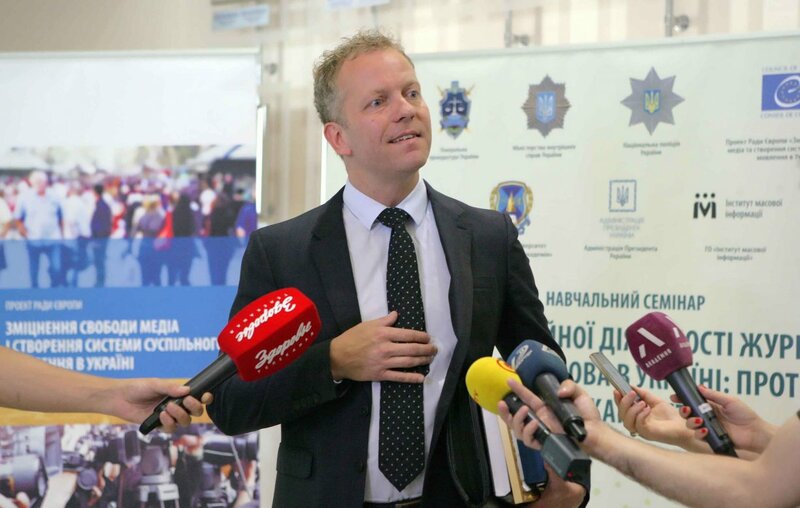 And this international project initiated by the Council of Europe with the support of the President of the Odessa Law Academy Sergey Kivalov is an important step towards international cooperation. I think that the future is for him. During the working meeting, the President of the Odessa Yurakademia presented the Chairman of the Council of Europe Office in Ukraine with the honorary medal of the university, made by the national bank. Also, agreements were reached on cooperation and the holding of a number of joint events on the basis of the university.